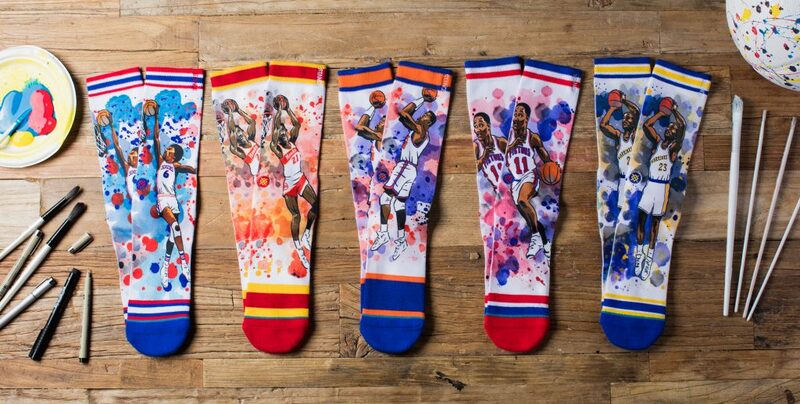 Stance has launched another wave of NBA Legends socks, this one by artist Todd Francis, a fixture in the skate world who is a fan of the NBA. Dennis Rodman, who played bitter combatant on the Detroit Pistons “Bad Boys” squads that bounced Jordan out of the postseason before MJ’s breakthrough in 1991. Rodman later teamed with Jordan for a run of three titles from 1996-98. Most known for being a dunk and scoring contemporary of Jordan, Dominique Wilkins and Jordan went heads-up in two Dunk Contests in the ’80s (Wilkins took the 1985 crown, Jordan got revenge in 1988). Wilkins finished his career with 26,668 points while Jordan topped out at 32,292. Isiah Thomas famously feuded with Jordan throughout their career. As the story goes, Thomas didn’t like that Jordan took the League by storm as a rookie and froze him out of the 1985 All-Star Game. Later on Thomas and his “Bad Boys” Pistons squad would punish Jordan at every opportunity and especially during the playoffs, inflicting hard fouls at every opportunity. Jordan would get the last laugh as his Bulls finally overcame the Pistons in the postseason in convincing fashion, sweeping the defending champs in the 1991 Eastern Conference Finals, prompting Thomas to snub the Bulls after the loss by walking out without shaking hands. Jordan would blackball Thomas from being part of the 1992 Dream Team. Mitch Richmond was an underrated shooting guard who played in the shadow of Jordan his entire career. The ultimate compliment came from Jordan himself who once said Richmond was the his toughest matchup. 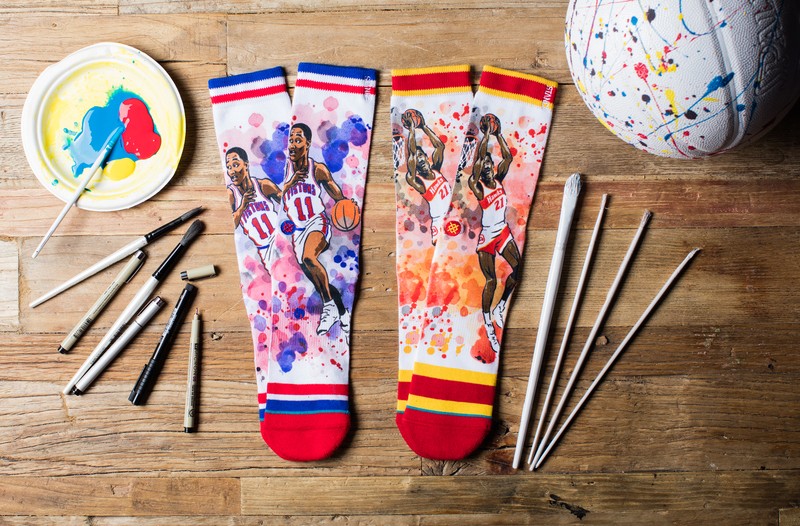 Julius Erving is often credited for making the slam dunk cool in the ’70s as a high-flying athletic forward in the ABA and NBA who wowed during dunk contests, while serving as an endorser of many products, most notably the Converse Pro Leather sneaker. Jordan took the same blueprint, but upped it another stratosphere with his Slam Dunk crown and putting his smile behind corporate America, most successful being the Jordan Brand that came about his partnership with Nike. Patrick Ewing is a good friend of Jordan’s, having teamed up together on the Dream Team and now serving as an assistant coach for Jordan’s Charlotte Hornets. Before the working relationship, Ewing’s Knicks team would serve as foil for the Bulls during the ’90s. Unfortunately it was a rather one-sided rivalry as the Knicks would routinely fall short against Chicago while Jordan was present. 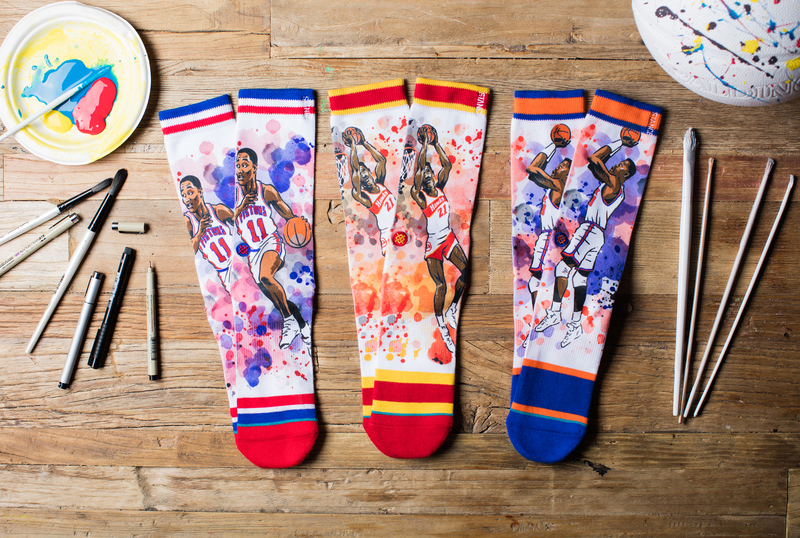 The Todd Francis Legends collection is available at Stance.com and other global retailers.